Sony has finally consummated their twelve year live-in relationship with Sucker Punch Productions, but apparently, not much is changing. 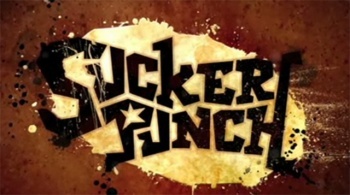 Sucker Punch will retain its original management team and, with the exception of a single N64 title released back at the turn of the century, all of its games have been PlayStation exclusives anyway. This deal, which sees Sucker Punch become the sixteenth independent developer to join Sony WWS in exchange for an undisclosed sum, really only reinforces that exclusivity. Considering Sucker Punch's output has been uniformly brilliant, other platform owners may begin grumbling angrily around about... now. "The relationship with SCE has provided us the flexibility and trust to take creative risks and invent new properties," said Sucker Punch's Brian Flemming, "As a part of the Sony Computer Entertainment group we look forward to introducing more innovative content and providing consumers with exciting, new interactive experiences." Considering Infamous 2's rather definite ending and the fact Sucker Punch is not developing the upcoming addition to the Sly Cooper, the "Innovative" and "new" in the quotation above might not just be empty buzzwords. Though my finely honed sense of cynicism is telling me we're probably going to see at least one more game about racoons, or superpowers, or racoons with superpowers.